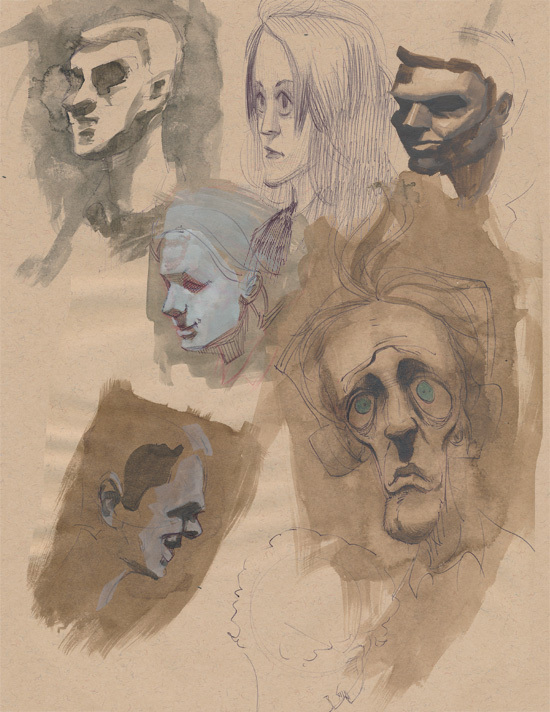 The final post of pages from my sketchbook from last year. 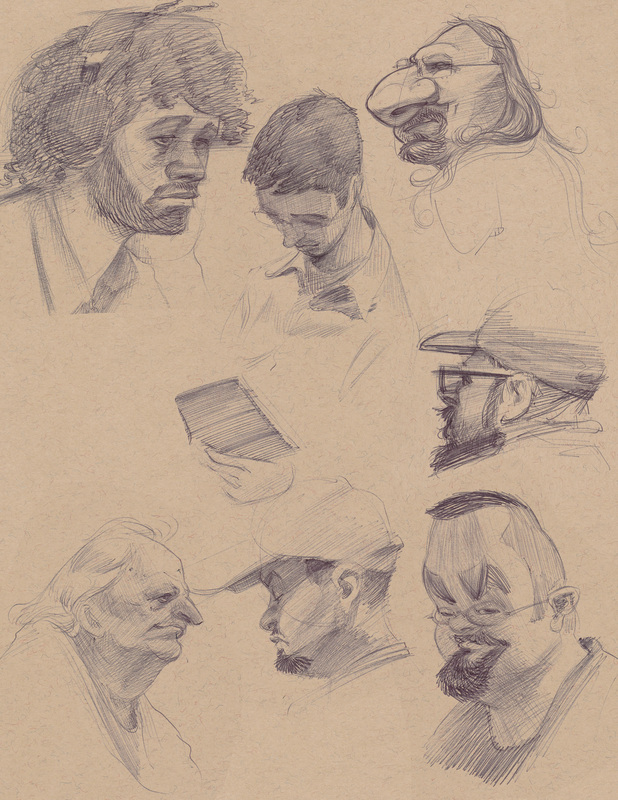 At this point I got back into using a ballpoint pen (I swear by papermate.) On the left are some drawings from the Bourgeois Pig. In the middle are some drawings from a drawing session organized by a layout artist from The Simpsons that I was happy to participate in in the height of the Christmas break season, which seems to be the only time of the year that it became difficult to find a drawing session every day of the week. And finally, on the right are some drawings from the Casbah Cafe and LAAFA. 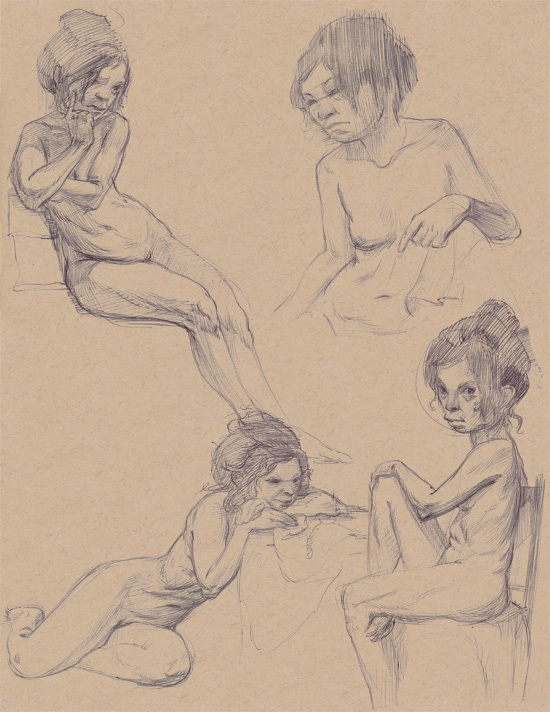 Most of these are anywhere from 5-20 minute drawings.